The multi colored handmade paper is recycled and is made by me. I paint my sheets very randomly with acrylic paints. Wood is the base for this handmade paper wall coat rack. 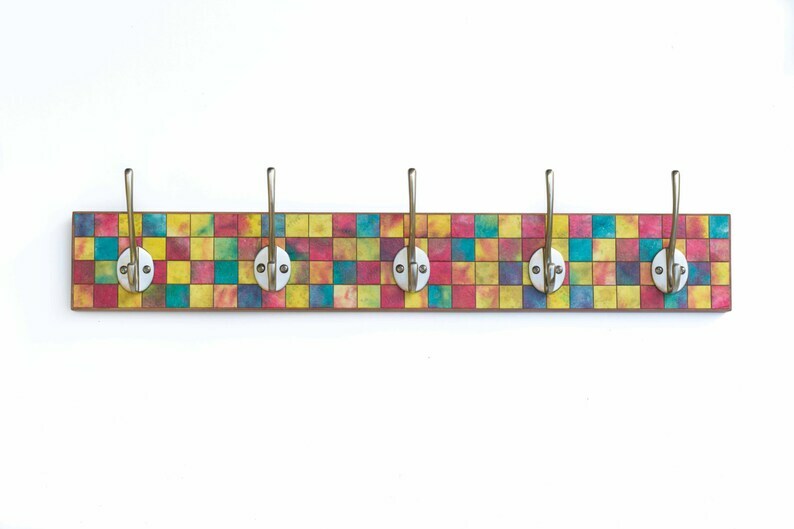 The colorful pattern was created by combining pieces of my painted paper and then cutting them into squares that resulted in this unique coat rack. Several coats of polyurethane have been applied for wear and durability. Key hole hangers are attached securely to the back. Wall screws not provided.